1. 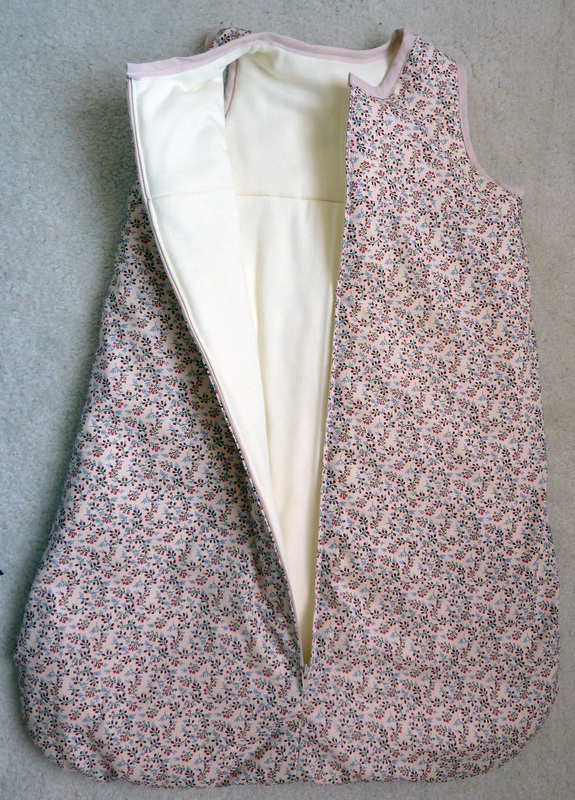 I just need to add the neckline, sew up and sew on buttons on this one. 2. I am just finishing off the exact same cardigan in white. 3. And yes…more gnomes for the Winterfair at Luke’s school. You’ll be seeing a lot of items I’ve made for milliemanu over the next few days. 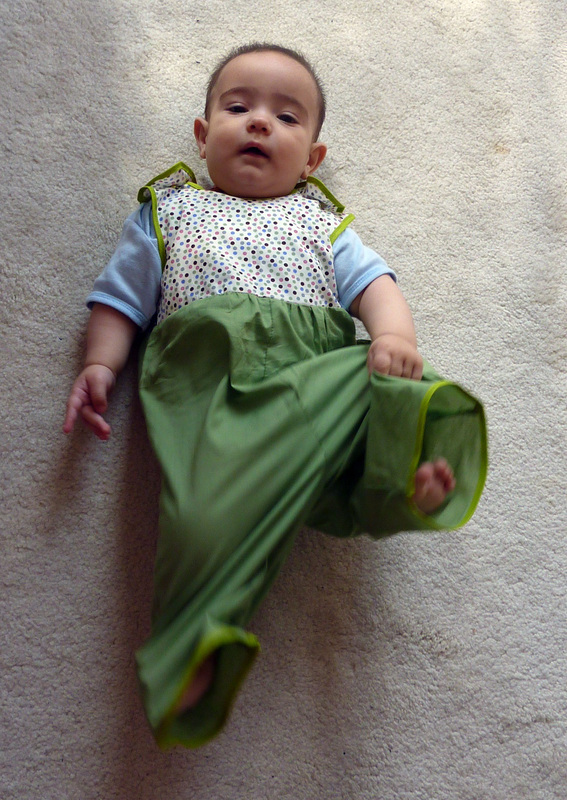 And I even did some sewing for her last year. She sent me a sample and I made two bunnies for her. I won’t talk about these much, but will just let the pictures do the talking. I taught my first craft group class today. I didn’t think that anyone would show up, but in fact two people came along. I do think there will be more people, especially as they only announced that the group was starting last week Friday. The ladies that did come had a lovely time and we managed to sew up a few pumpkins. So without further ado here are some pictures from the crafting. The romper came in this brilliant bag (it might be something I have to steal from Roberta, it’s such a fantastic idea!). 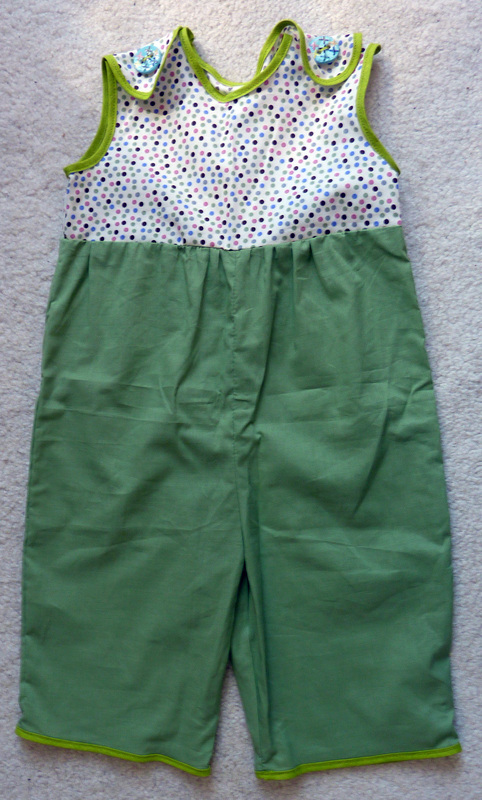 And here is the romper in all its glory, I promise to take some pictures of Luke wearing it tomorrow, although it’s probably a little too cold for it at the moment and I think it might be a tad too big at the moment. But it’ll be perfect in the summer! 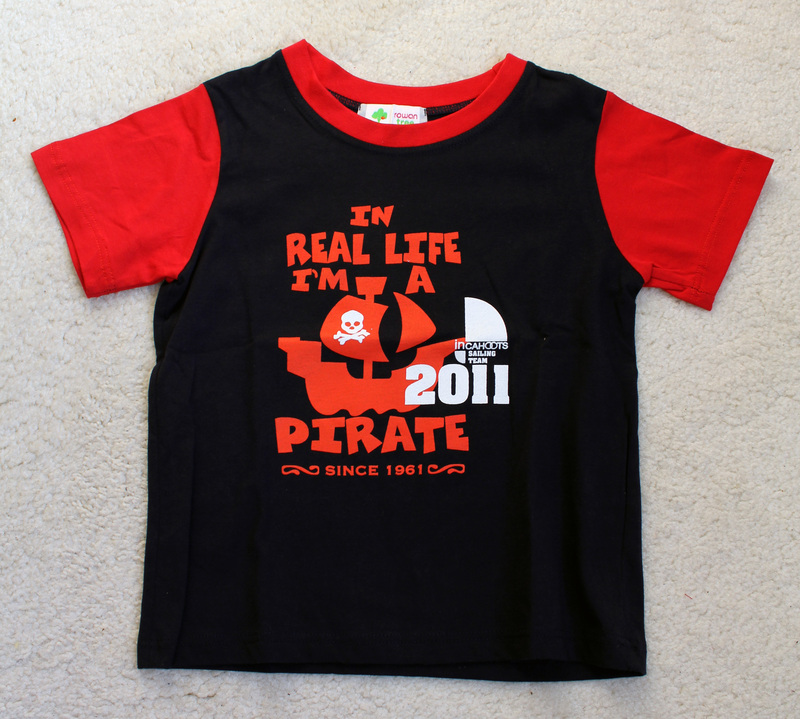 And have a look at what Roberta also included for Luke, the best T-Shirt ever! Thank you so much Roberta, we’re going to cherish both! How old were you when you first started knitting/crocheting? I first knitted and crochet when I was about 7 or 8 and I remember my second project was a pair of socks, thanks to my aunt Iris. 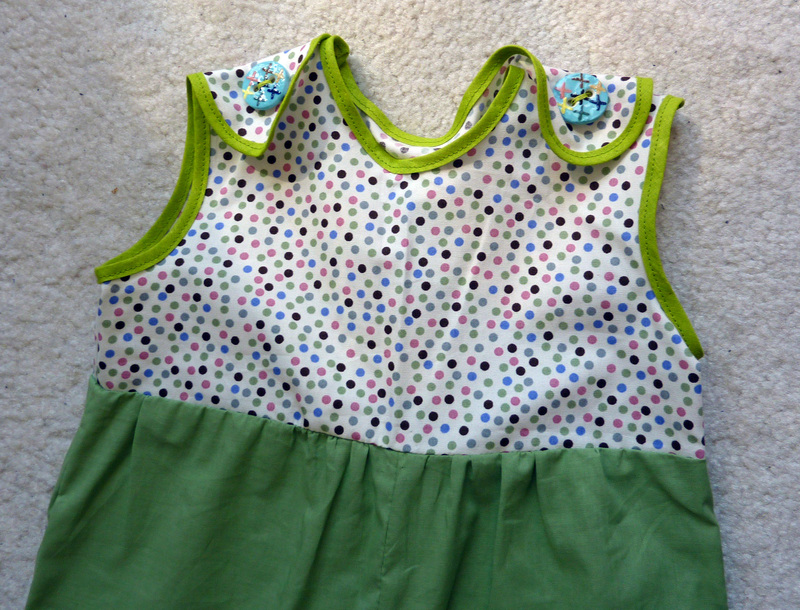 I don’t think I can name just one thing…the thing I’ve loved most are the waistcoat for Luke, a dress for my niece Clara and the flouncy dress I made late last year for friends in Australia. Neither I’m afraid…not a big pet person…if I really could choose it would be a monkey. 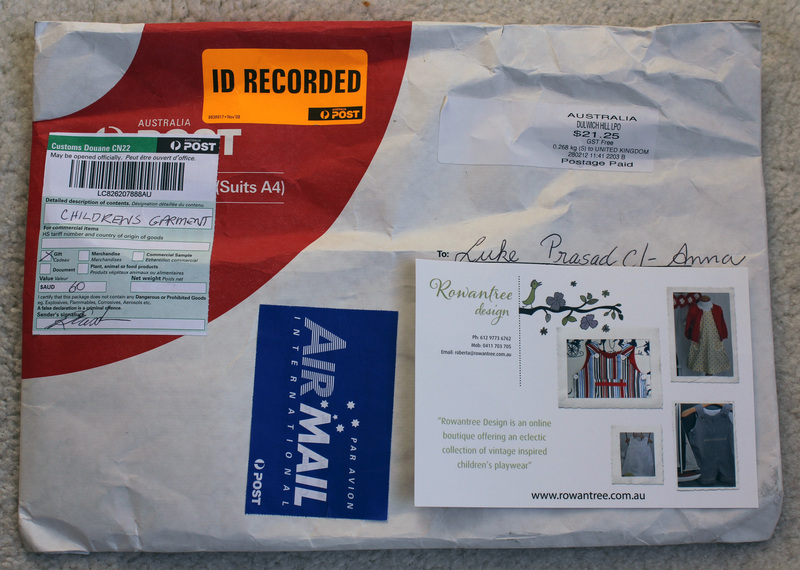 Australia and Italy: Australia because of the sunshine, the sea and the general relaxed attitudes of the country and Italy because of the sunshine, the food, the language and the culture. What’s your #1 tip for beginner bloggers? Read and comment on blogs you like, you make blogging friends that way, and post regularly (doesn’t have to be every day if you’re not up to it in the beginning)! In life, who is your biggest inspiration? My mother, she raised me and my brother (twins) by herself, whilst holding down several jobs at times and I thank her for it every day! Are you going to any music festivals this year, if so which ones? What inspires you most when knitting or crocheting? Thinking about the person I’m knitting for and how good they’ll look in the item. 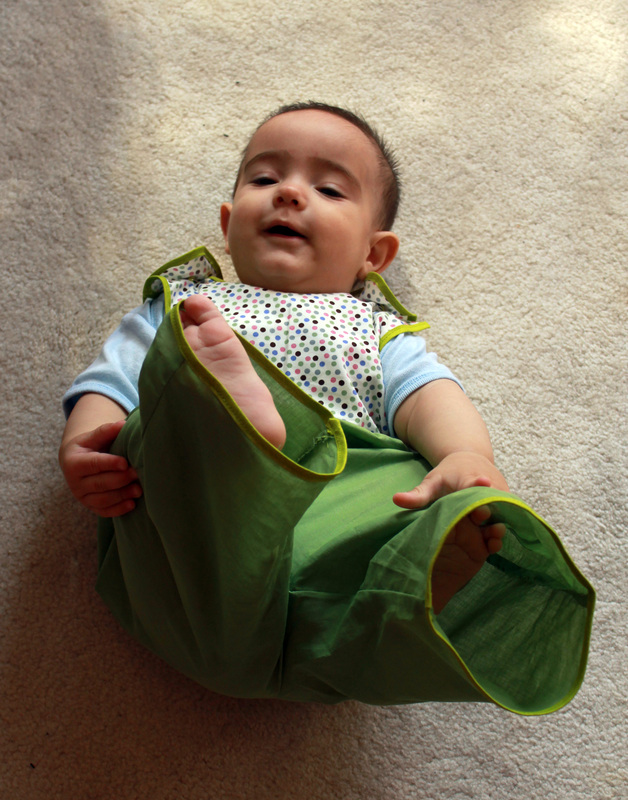 I would have said shoes…but now with a little one, shoes have to be practical! I don’t just have one, but up there are: ice cream, banoffee pie and anything with chocolate! What’s your best tried and tested recipe? Chicken with a creamy leek sauce and roasted potatoes. Next the challenge calls for me to ask 12 questions of another set of 12 bloggers. Here are my 12. How to you pick your crafting projects? How did you decide what your blog should focused on? What is your greatest craft accomplishment? Any crafting tips for anyone starting out? 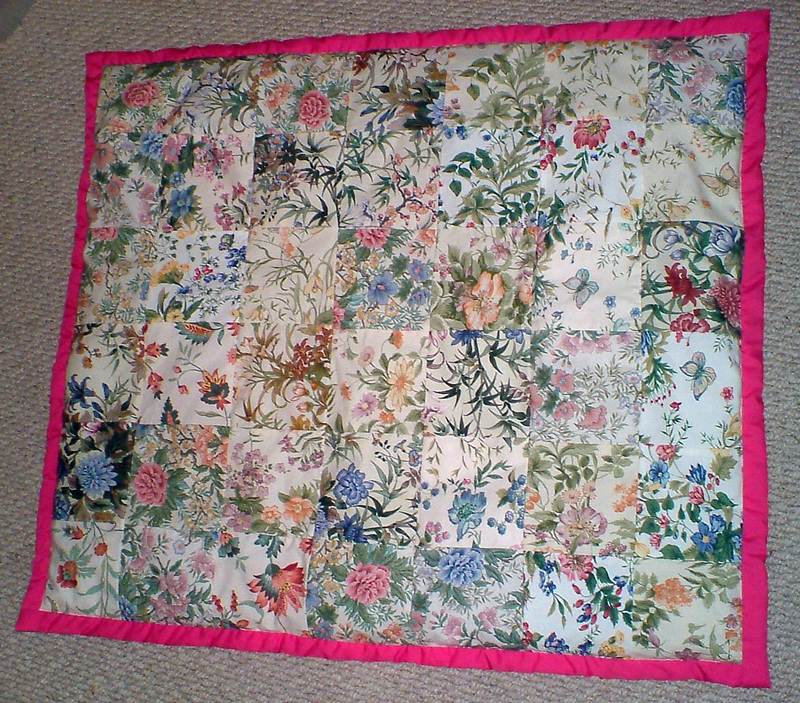 I just found these pictures of a flower baby quilt that I made probably over 5 years ago. In fact it was so long ago that I can’t even remember who I made it for. 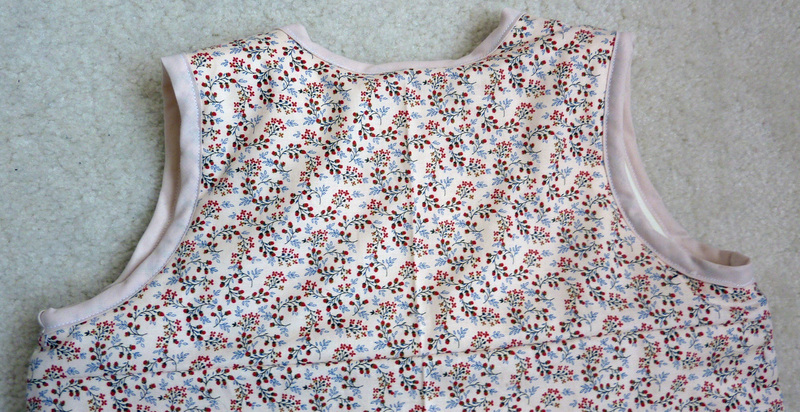 What I do remember is that I had these really cute squares of different flowery fabric, and each square had a different pattern on it. 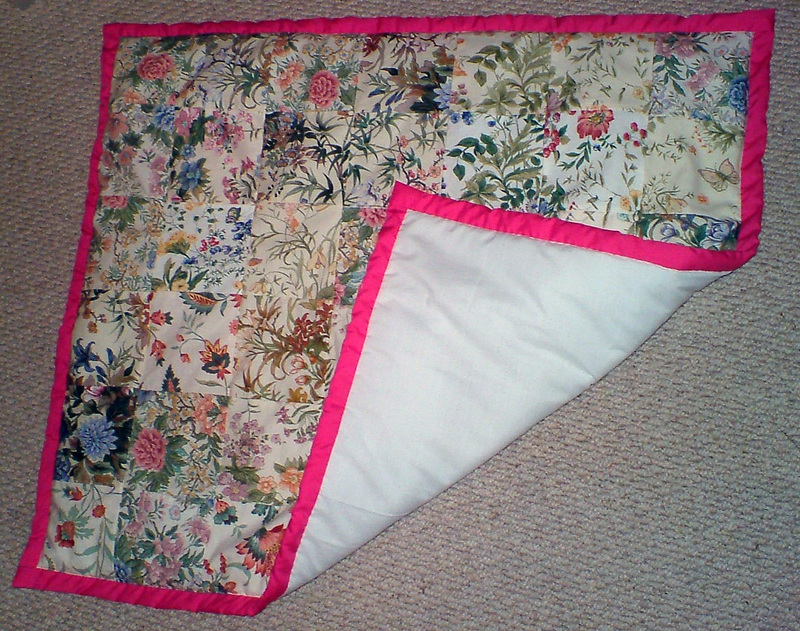 I can’t remember many more details of this particular quilt, but I remember it being really easy to make, I just used squares and sewed them together. 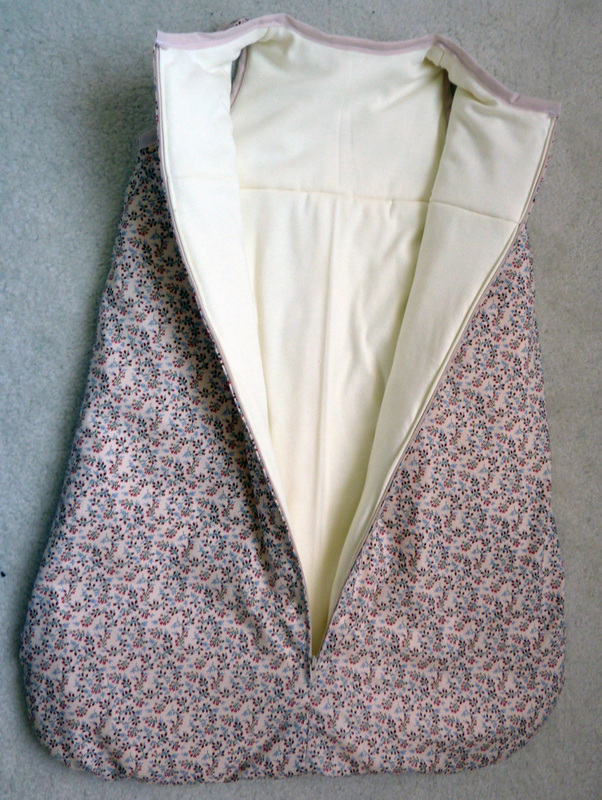 I had a back piece, put wadding in the middle and then added a pink border. 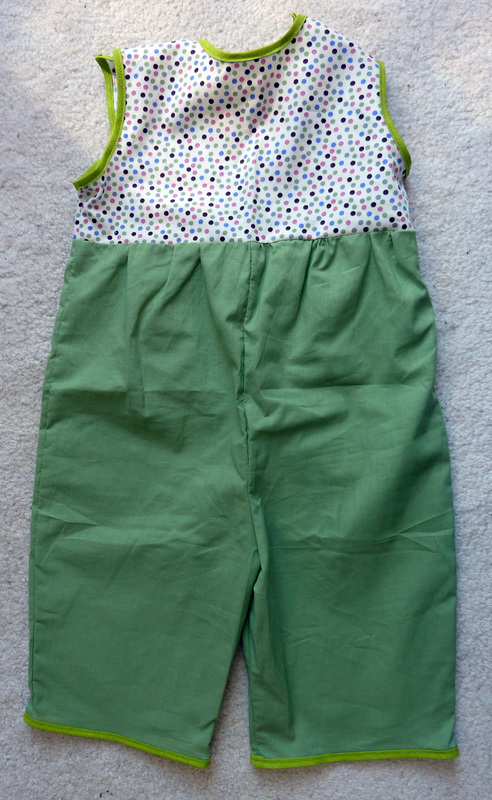 Here’s a sewing FO, I used to do a lot of sewing mainly for myself, but haven’t really done a lot since Luke was born. This is probably because it’s not as convenient as knitting. It means getting out the sewing maching from the cupboard, putting it out on the table and actually sitting there to sew. Knitting I can just do in front of the television, or when Luke is playing. 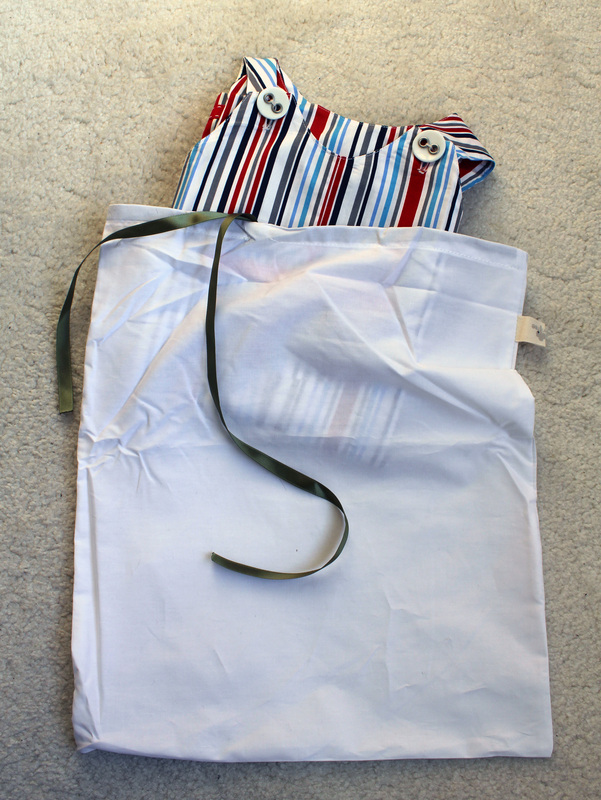 Nonetheless, here’s a sleeping bag I made for Luke before he arrived. 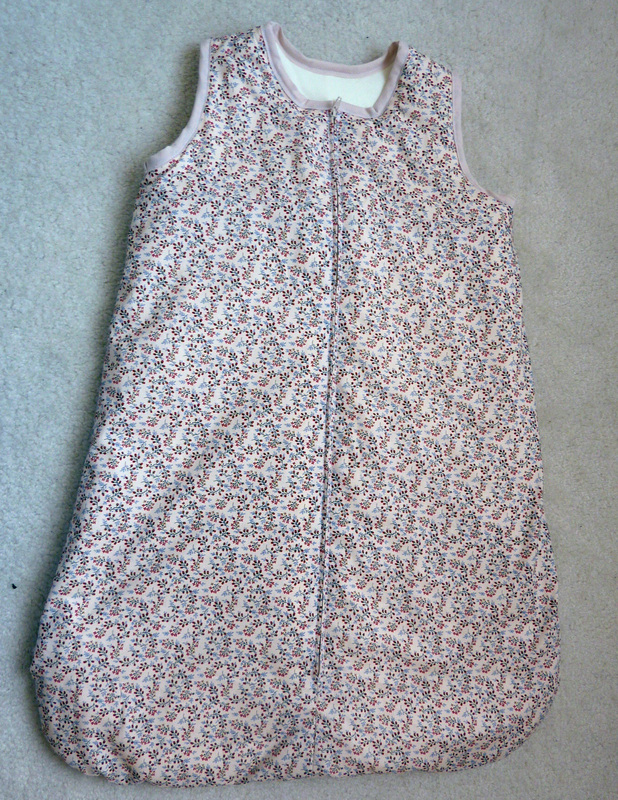 It’s from a Burda pattern (9640), difficulty: easy, which I have used twice before to make sleeping bags for my niece Clara (I blogged about it here). 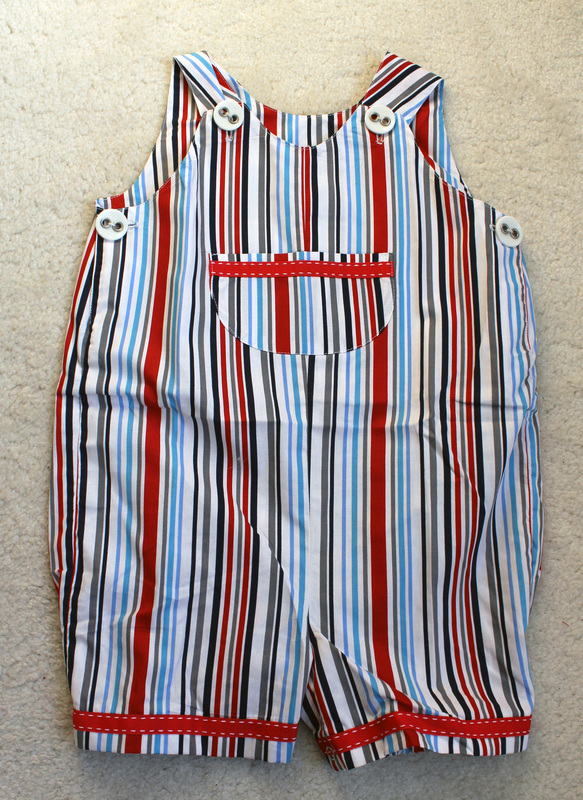 It’s a really nice project that is whipped up in a couple of hours and like I said in the previous post linked above it calls for two materials without wadding, but I used cotton wadding inside. 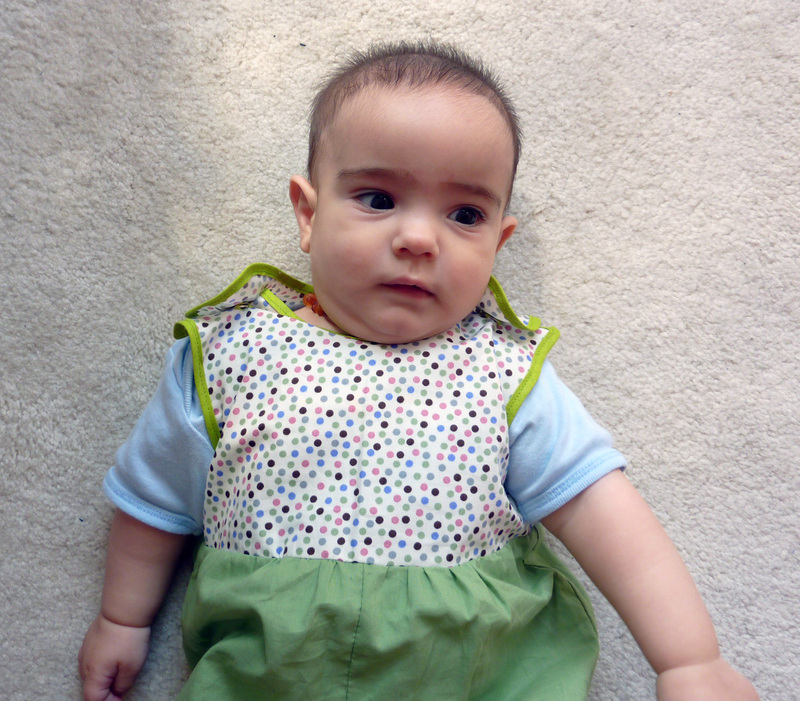 You can see that the choice of fabric is probably just a tiny bit feminine, that’s because we were originally told by four sonographers that we were having a boy, and when we went for a private scan we were told that we were definitely having a boy. I don’t think it really matters, you can’t really go wrong with flowers, right? 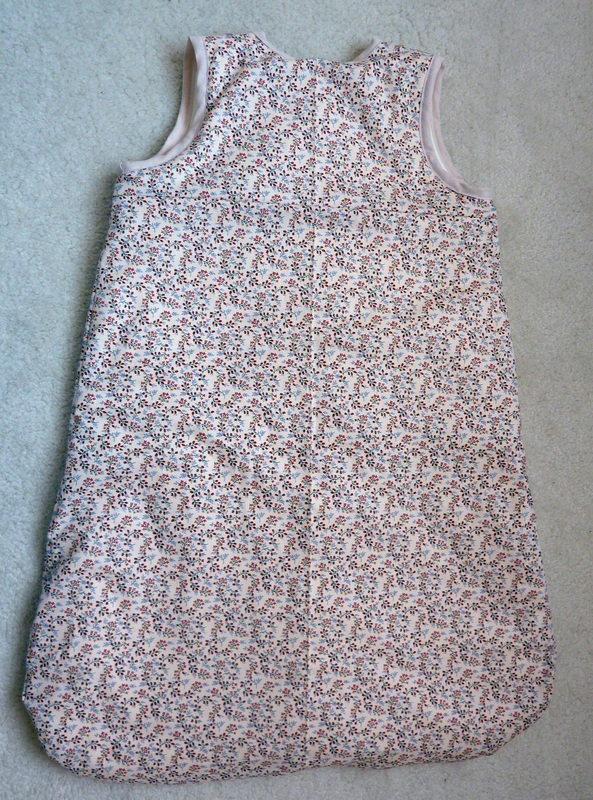 For the lining I chose a really soft cotton jersey, which feels really good. Shame that Luke didn’t really start sleeping in sleeping bags until he was about 7 months old and then this was already too small, but I’ve kept it for number two (as and when we decide to have number two :-)). I think it’s a really good sleeping bag pattern and I think I’d probably make a bigger one again if I had more time, but alas, Luke is keeping me very busy! 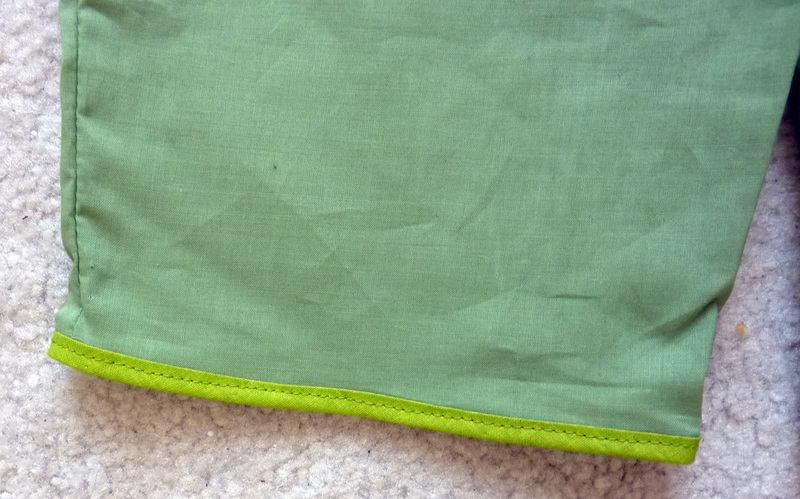 I finished it off with a nice cream coloured binding, which worked perfectly.